- Certificate in Security Management: (10 classes). - Advanced Certificate in Security Management: (10 classes). Academic programs leading to a Certificate in Security Management and an Advanced Certificate in Security Management. a. The Texas Department of Public Safety Private Security Bureau Non-Commissioned Security Officer, Commissioned Security Officer, Personal Protection Officer, Private Investigator, Locksmith, Security Alarm Technician, Security Manager, and Security Consultant. b. The International Foundation for Protection Officers Certified Protection Officer Certification (http://www.ifpo.org). c. The International Foundation for Protection Officers Security Supervision and Management Certification (http://www.ifpo.org). d. The American Society for Industrial Security Certified Protection Professional Certification (http://www.asisonline.org). e. The American Society for Industrial Security Professional Certified Investigator Certification (http://www.asisonline.org). f. The American Society for Industrial Security Physical Security Professional Certification (http://www.asisonline.org). Tutorial assistance to help under-prepared students and others who wish special assistance to achieve their educational goals. The intended result of these programs is to help graduates have the education they need to further their own public safety and security profession(s) and to provide more effective security operations and management that are safer to their clients as well as the general public. 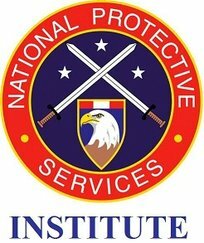 Although the programs are specifically geared towards people who have a passion for protective services, specifically security operations and security management, and who plan to pursue these disciplines as a life-long career, this Institute is also for others who are only engaged in the field for a short period of time. Declaration of this intended goal does not guarantee that graduates of any offered programs will be able to pursue a professional security career after graduation. There are numerous programs in the Criminal Justice realm, and an increasing number of Security Management programs, but very few programs provide instruction particular to the needs of operational front-line security managers. The Security Management program at NPSI demands extensive education focusing on front-line security operations, which better prepares management personnel to run operational programs. As the field of security grows, so to does the need for a legitimate educational program that addresses the needs of the community. The potential value of having intensive security education and training for personnel who have dedicated their lives to the field demonstrates the necessity to ensure a professional standard of care, training, and education is at least available to provide the best possible service to clients, the government, and the general public. Although there are some outstanding private companies and educational programs available, the need for intensive education and training is obvious. Most schools that provide security programs focus more on "Homeland Security" instead of a program of instruction that is inclusive of both private and governmental security operations. Some schools offer Criminal Justice programs with an optional minor focus on security, which does not provide the necessary education to be a security professional. There are many career areas in which education of this nature could be useful. The government, military, law enforcement, security management, private investigations, emergency management, corrections, probation and parole, personal protection (bodyguarding), physical education, social services, case work, and justice administration are several examples. Although the word “security” may not be in the job title, the core competencies will undoubtedly be part of the job description.